Hello, and welcome to this week’s prayers for the week post. This week has seen a lot of the roaring lion better known as Satan. It is imperative to us all that we resist that roaring lion, that we resist Satan, and that we remember that with God by our side, no one can defeat us! 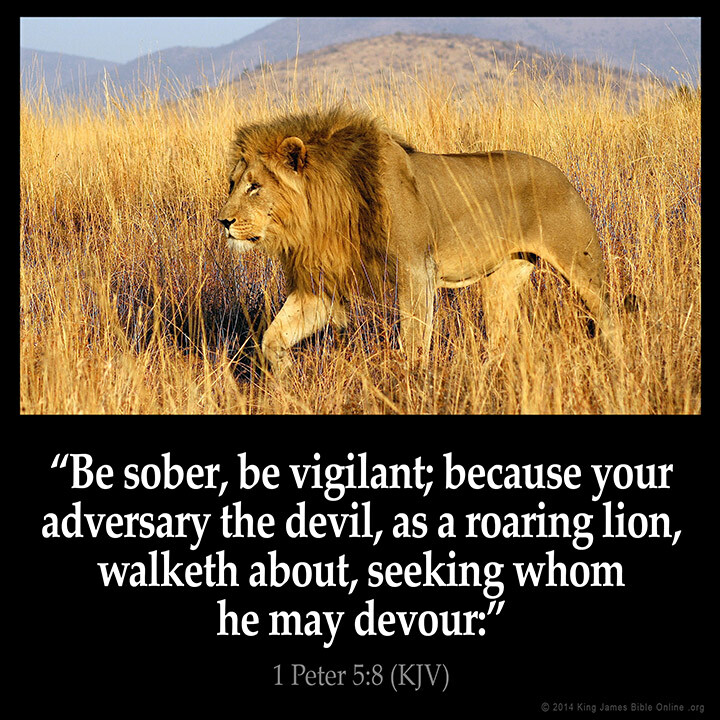 Just remember, when you find yourself beset by tribulation on all sides, just pray to God and tell the roaring lion of Satan to get behind you in the name of Jesus! That will do the trick every time! Now, please continue reading and praying for our prayer requests and praises. Rebecca and Sheila have a prayer request: I just got this message from Rebecca: Hey my prayer warriors! Please keep praying for Cordy’s Godfather Scott!! It has been a tumultuous week of highs and lows. Steps forward and backwards. He is not out of trouble yet. And I apologize if you haven’t heard much from us, we’ve been trying to balance everything else in our usually busy barely managed chaos of a life, and 2 trips a day to the hospital. And figure out a path forward. So please keep us all in your prayers! This was the original prayer request for Scott from Sheila: I just added my friend Rebecca she needs our help ! Her husbands best friend & Godfather to her daughter, Scott, is in very critical condition. Scott is one of their families oldest and dearest friends. We would appreciate any and all love and prayers and positive thoughts sent his way. From what I understand he had a aortic dissection, which most people do not survive. After 9 hours of surgery. He now needs our help and prayers to recover. Pam has a continued prayer request for her husband Ronnie: My husband Ronnie is in the hospital for the second time this week with his fourth anaphylactic reaction. Praying we get home today and have no more problems. Jodi has a prayer request also: My friend Kimberly has had a mild stroke. Please keep her and her family in prayer! Thank you! We met someone at dinner tonight, Deron, who has had a hard life. Please pray for him, for God to watch over him. Thank you! A co-worker of Cindy lost a friend recently. His name is George. Please pray for them and for George’s family in their time of grief. Thanks! Lastly, please pray for the lost, for those that don’t know Jesus, for those that don’t know what to pray, and for those that are afraid to ask for prayers.